, 53.30 mins, English subtitles. Konstantin Grcic is considered one of the most innovative and profound contemporary designers worldwide. The film observes him and his creative team working on fundamental new concepts for products. 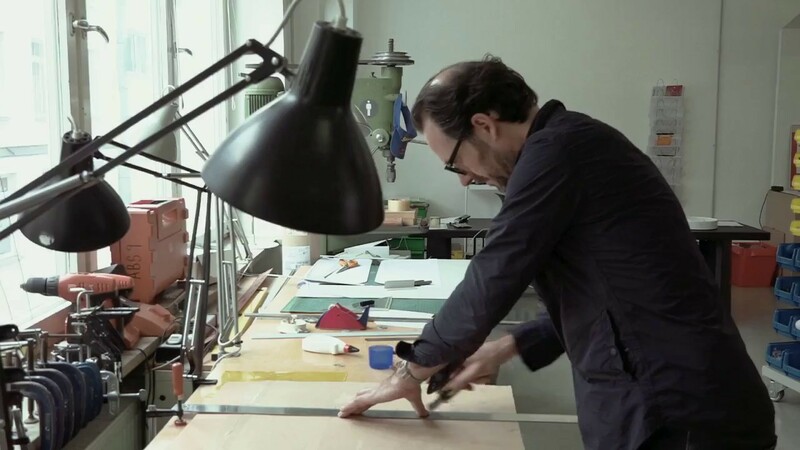 “From the makers of “El Bulli – Cooking in Progress” and “How to Make a Book With Steidl”. “Design is Work” accompanies the designer for the duration of a year in the various segments of his working world: while designing in the studio with his team or deliberating over the right decision with a client; among the tumult of “Salone” (furniture fair, Milan) or during the planning of an exhibition for the Pinakothek der Moderne in Munich. In the film, these steps are lucidly illustrated by Grcic’s current project: a furniture series made of cast iron, conceived and developed with the long-established Italian design company “Magis” and its dynamic founder Eugenio Perazza. It becomes apparent that design involves a tremendous amount of work – but also considerably more. Print and image courtesy of Magnetfilm.